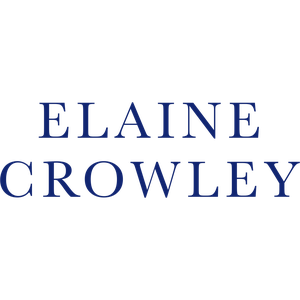 Elaine Crowley was born in Dublin. She left school at fourteen and became an apprentice tailor. She married a soldier, and they lived in Egypt and Germany, before settling down in Port Talbot, Wales. Elaine had six children and numerous grandchildren. Prior to her highly successful writing career she worked as an Avon lady, a dinner lady, and for the personnel department of British Steel. She is perhaps best known for her novels Dreams of Other Days, The Young Wives and A Family Cursed, all written during her latter years. She died in 2011, in Swansea.